A video is now available on Youtube for Throwaway Fashion. The song was written and originally performed by long lost fellow Brisbane band Sphere - and featured some synth programming courtesy of yours truly, and samples from a shampoo commercial! 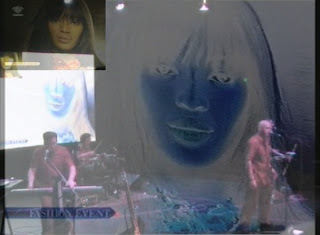 The video is cut together from footage from the TransCom "Sumner" Powerhouse gig, and the video projection material that Francis put together for the event.